Born and raised here in the San Francisco Bay Area, I love sharing unique experiences with students. Oakland is one of those places. Just a 15-minute BART ride from downtown San Francisco, Oakland was named one of the top cities to visit in the world by the New York Times in 2016 (Woo-hoo!) With trendy neighborhoods like Rockridge, to Bohemian neighborhoods like Temescal, Oakland has amazing art, culture, nightlife, food, and outdoor activities to experience. 1. 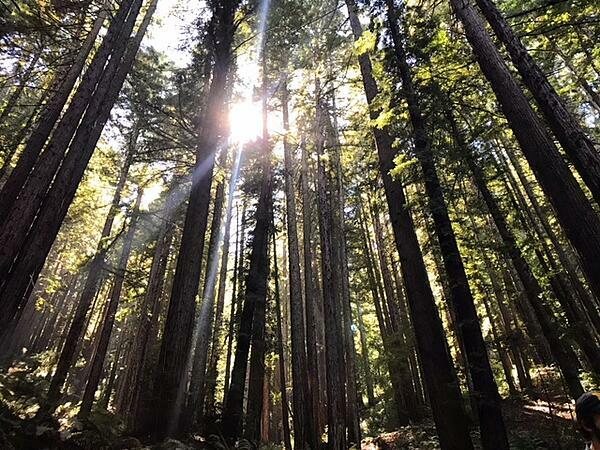 Hike at Redwood Regional Park or Tilden Park California is home to some of the tallest trees in the world, the redwoods. While Muir Woods, north of the Golden Gate Bridge, is the most popular redwood park in the area, it requires reservations. If you want to go somewhere spontaneously, without the wait, visit Redwood Regional Park or Tilden Park for a hike, picnic, and relaxing day in nature. 2. Friday Nights at OMAC This is one of my favorite “block party” events in Oakland. A block party is a small street event where neighbors and the community comes outside to enjoy food, drinks, and a good time. The entire “block”, or street, is closed to cars, so there is no traffic. On Friday evenings, take BART to Lake Merritt station to experience Oakland’s block party outside the Oakland Museum of California (OMAC). There is a different live band every week, and dozens of food trucks. You also get half-price admission to the museum on these Friday nights. This museum tells the story of California history, art, and social justice movements. 3. 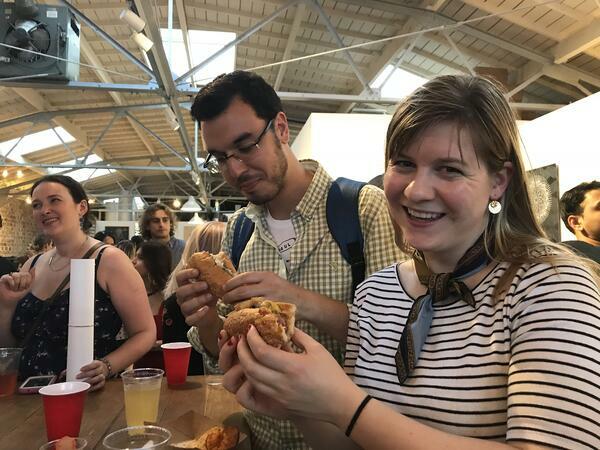 Go to “Art Murmur” For an even bigger block party, go to Art Murmur, the event that happens the first Friday of every month from 6-9 PM in downtown Oakland. Dozens of vendors selling arts, crafts, and food are in the street. You can also visit many open art galleries. If you prefer a day time activity, check out “Saturday Art Strolls”, the next day to visit local galleries, meet local artists, and have free walking tours. Take BART to 19th Street. Teacher Emily with students at “Art Murmur” the first Friday every month. 4. Go to a concert at the Fox Theater Music fans, listen up! Located in the famous “Uptown” district, the Fox Theater attracts a wide variety of famous musicians and bands. If you’re a music-lover, don’t leave without seeing a concert inside this historic and beautiful theater. Take BART to 19th Street. The Fox Theater is a popular place to see concerts. 5. Have a picnic at Lake Merritt If the fog is too strong in San Francisco, take BART to 19th Street and walk 10 minutes to have a relaxing day at this lake. Rent a paddle boat or walk around the lake to the Saturday farmer’s market at Grand Avenue. 6. Visit the Cat Town Cafe In downtown Oakland, there is a special cafe that is home to many cats. The cats are all rescued from a local animal shelter, and now live in the cafe, waiting for people to adopt them. When you pay to go inside the “cat zone” section of the cafe, the money helps support the rescue operations and the cats. Take the BART to 19th Street to visit the cafe and support a good cause! 7. Explore space at the Chabot Space and Science Center On Friday and Saturday, you can look through the telescopes at the stars and planets. The center also has many events, like meteor-shower watching, a Planetarium, hands-on exhibits, and much more! 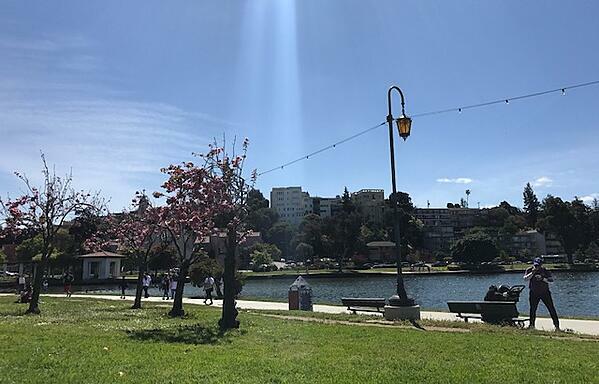 Lake Merritt, near downtown Oakland. 8. See a baseball game San Francisco has the Giants, but Oakland has the A’s. Baseball tickets are a lot cheaper in Oakland, so grab your friends and watch a game between April and September. You can usually find bleacher seats for $10, a popular section for people to gather with team flags and drums. Take BART to the Coliseum station. 9. Explore Jack London Square Go bowling at Plank, drink fancy coffee at Blue Bottle Coffee’s headquarter, or visit the popular bar “Heinold’s First & Last Chance Saloon”. Take the ferry boat from Embarcadero in San Francisco to Jack London Square for fun day. 10. Temescal neighborhood This is a popular neighborhood in Oakland, with unique food and shops. Enjoy mac & cheese (a popular American food) at Homeroom restaurant, and then explore Temescal Alley. Temescal Alley is home to many unique shops, with local crafts and delicious coffee and ice-cream. If you like breweries and craft beer, you can find many here in this neighborhood! Take BART to MacArthur Station. 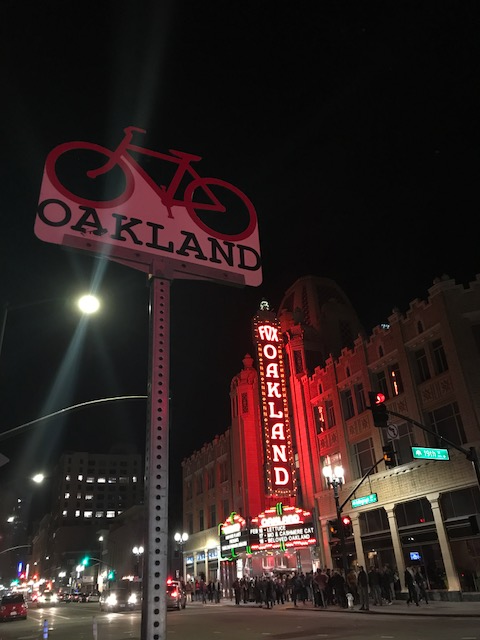 With so many things to do, Oakland is a must-see! Whether you love art, film, the outdoors, science, or good food, you can find it in California’s 8th-largest city.